Beyerdynamic T51i review | What Hi-Fi? It all started at the end of 2011. The Beyerdynamic T50ps came out, and we loved them. We loved them enough to give them a What Hi-Fi? Award. 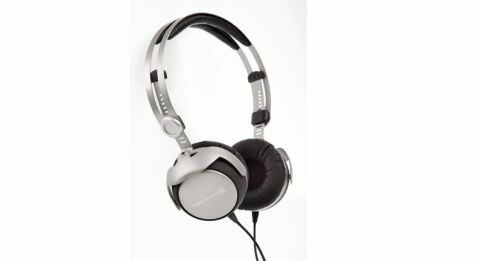 Then Beyerdynamic came out with the T51ps. Once more, our response was nothing short of effusive. But we always had one minor misgiving. Although billed as the ideal headphones for portable use, they lacked an in-line microphone remote – putting them at a disadvantage for mobile phone users. Thankfully, Beyerdynamic has fixed this issue. The T51is have a remote. The three buttons mean it is optimised for iOS, but the play/pause/call button will work on Android and Windows devices too. The controls are pleasant to use: good click; responsive. As far as additions go, that’s about it. We’re told the T51is were based on the T51ps. Aside from the remote unit, it looks as though the two sets of headphones are virtually identical. And that’s no bad thing, for these are superb. They’re easily some of the best portable on-ear headphones we’ve heard at this price. As with their predecessors, there are simply no major flaws here, but rather plenty of significant positives. We’ll start with detail. There is a lot of it. The Beyerdynamic T51i in-ears give an incredibly insightful performance, revealing the textures of instruments and nuances in vocals. Each frequency is beautifully judged. There’s remarkable clarity and bite at the top, but it’s smooth enough to avoid hardness. The midrange is eloquent and poised. Bass notes are substantial but taut. In rhythmic terms, the T51is possess timing of regimented precision. Leading and trailing edges of notes start and stop where they’re meant to. It’s never forced, nor overly analytical. Big dynamic variances are dispatched with enough confidence to ensure vivacity. Put it together and you have rounded, well-balanced earphones that pay attention to detail without forgetting how to have a bit of fun. On the physical side, these are superbly engineered. They’re light, for starters. You wouldn’t expect that from a mostly metal body. And it’s sturdy metal too. These will take a lot of punishment and still come out singing. This lightness helps them sit comfortably on your head. As do earpads of viscoelastic filling (read: super-soft memory foam) and synthetic leather. We should mention the closed-back construction, which provides a few degrees of passive noise isolation. Along with the snug (but never squeezy) ear pads, this provides a neat way to segregate oneself from the outside world. The T51is are great for commutes. The T51i earphones are superbly engineered, but are subtle rather than flash in terms of appearance. The looks? Well, you might think different, but we quite like the design. With a relatively skeletal body and a brushed metal finish, we think the T51is look functionally elegant. Industrial chic, if you will. Then again some may prefer something shinier and more obviously luxurious. The Sennheiser Momentums, for example, would win in a beauty contest. But then again, we think the Beyerdynamics are better performers, with greater detail and precision. Look no further if you have up to £250 for a pair of on-ear headphones. Beyerdynamic is stronger than ever, and now there’s a remote control.